The aim of the present study was to analyze candidaemia’s epidemiology (incidence, species distribution, and susceptibility rates) and antifungal consumption during a 9-year period. All candidaemias recorded at The University General Hospital of Patras, Greece, between 2009 and 2017 were included. Candida isolates were identified using the germ tube test, API 20C AUX System, and/or Vitek-2 YST card. Antifungal susceptibility was determined by the gradient method according to CLSI. 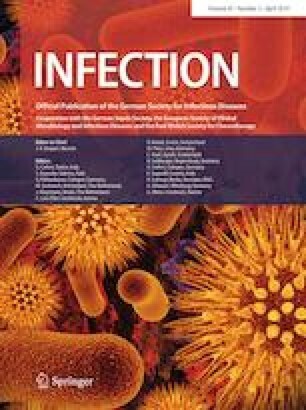 During the study period, 505 episodes of candidaemia were observed with an overall incidence of 1.5 episodes per 1000 hospital admissions (1.1 episodes in 2009 to 1.9 in 2017: P 0.038, r 0.694). C. albicans was the leading cause (200 cases; 39.6%), followed by C. parapsilosis (185; 36.6%), C. glabrata (56; 11.1%), C. tropicalis (50; 9.9%), C. krusei (8; 0.2%), C. lusitaniae (5; < 0.1%), and C. guilliermondii (1; < 0.1%). Overall resistance to fluconazole, voriconazole, anidulafungin, caspofungin, and micafungin (according to CLSI) were 11.6%, 4.1%, 2.0%, 6.0%, and 0.8%, respectively. The overall consumption of antifungal drugs was stable, with a significant reduction of fluconazole’s use in favor of echinocandins. An increase in the incidence of candidaemia and a predominance of Candida non-albicans due to decreasing use of fluconazole in favor of more potent antifungals, such as echinocandins, are reported in this study. This study was supported by funds of the Department of Microbiology, School of Medicine, University of Patras. The study was approved by the Bioethics’ Committee of the UGHP (no. 3324). WHO Collaborating Centre for Drug Statistics Methodology. Guidelines for ATC classification and DDD assignment, 2018. Oslo. 2017. https://www.whocc.no/filearchive/publications/guidelines.pdf. Accessed 29 Jun 2018.